From a bubbling digital cauldron of eerie electronic crackles and blips of static, a distorted voice simmers to the surface. ‘Doors closing… Ignition’, it coldly intones, before whistling synthesizer afterburners begin to roar and we lift off, ushered into an intoxicating soundworld that blurs electronic and orchestral colours. It’s ballet music, but not as we knew it. Infra’s jaw-dropping first movement was Royal Opera House audiences’ introduction to composer Max Richter upon the ballet’s 2008 premiere and in the seven years since, the composer has returned to Covent Garden twice – first in 2011 with his debut opera, Sum, a chamber piece based on David Eagleman’s book Sum: Forty Tales from the Afterlives; and now for Woolf Works, Wayne McGregor’s first full-length work for The Royal Ballet inspired by the writings of Virginia Woolf. Richter has long fused electronic and organic sounds, and his 2002 debut album Memoryhouse – recorded with the BBC Philharmonic Orchestra – firmly established his reputation at the forefront of contemporary classical music. A documentary exploring the tumultuous history of 20th century Europe, it weaves poetry readings around Arvo Pärt-esque swirling strings and glitchy electronic rhythms that wouldn't sound out of place on an Aphex Twin track. As a reflection of this, his work is as discussed on the pages of Pitchfork or Drowned in Sound as it is in BBC Music or Gramophone magazines. The atmospheres and textures conjoured in Memoryhouse and its Franz Kafka and Czesław Miłosz-influenced follow-up The Blue Notebooks were revisited in Richter’s first high-profile film score for Ari Folman’s animated war film Waltz with Bashir. Exploring the memories of a soldier in the 1982 Lebanon war, the film won numerous awards including including a Best Composer prize for Richter at the European Film Awards. Astonishingly prolific, Richter has contributed to or soundtracked more than fifty films to date including Martin Scorsese’s Shutter Island, and Ridley Scott’s Prometheus. ‘Film music is solving puzzles’, the composer has said of the relationship between his compositions and the visual elements of film, an approach which may be equally applicable to composing for dance. Since Waltz with Bashir, Richter has explored the no-man’s-land between classical and electronic music. In 2008 he released 24 Portraits in Full Colour, an album made up of orchestrally-tinged ambient snippets inspired by the mid-2000s pop culture phenomenon of the mobile phone ringtone – for Richter, digital technology has changed how we view music, and what we expect of it. Most recently, he released an experimental reworking of Vivaldi’s The Four Seasons, an album that can best be described as a classical remix of perhaps the world's most famous concerto. ‘The Four Seasons is something we all carry around with us’, he has told The Guardian. ‘It’s just everywhere. In a way, we stop being able to hear it. So this project is about reclaiming this music for me personally, by getting inside it and rediscovering it.’ Certainly, Recomposed showcases Richter’s playful side, playing with tempos and adding subtle electronic tinges beneath Vivaldi’s iconic melodies. And for those wanting to know what makes the composition tick, there’s an accompanying app, which allows fans to dig into the score and isolate each section of instrumentation to explore how Richter builds his lush soundworlds. Woolf Works will see Richter expand on the musical language present in both Infra and Sum, but the triptych nature of the ballet's three acts (inspired by Woolf’s novels Mrs Dalloway, Orlando and The Waves respectively, as well a selection of her autobiographical writings) means that each section is likely to have a distinct atmosphere, coming together to create a perpetually unfolding, ever-moving score. 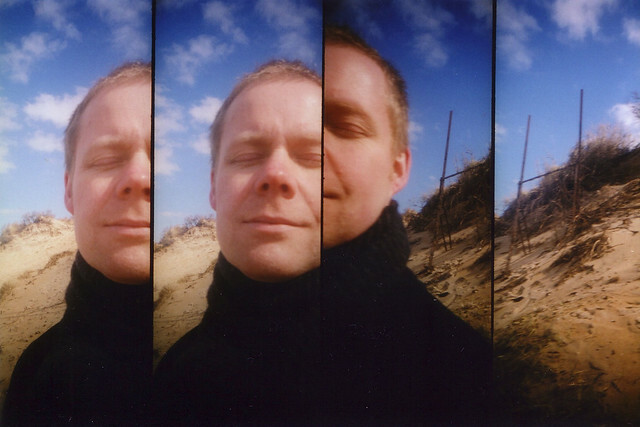 A new Max Richter work is always a major event in contemporary classical music, and Woolf Works is sure to be no different. The production is staged with generous philanthropic support from David Hancock, Randa Khoury, Linda and Philip Harley, Victoria Robey, The Woolf Works Production Syndicate and an anonymous donor. As soon as I began listening to his music in the first video, I fell in love with it. Good!! This will be a marvelous creation, I really hope so. We need so much of these new ballets with good music.